Have you ever eaten too much? Have you ever been unable to stop eating, only to feel terrible later? Well, guess what? You are NOT alone. We all overeat. My mom always told me, “your eyes are bigger than your stomach.” Food can be tantalizing, inviting, and just plain ole fun at times. Food can be social, familiar, and again, just fun! That is, until we eat too much and feel bloated, gassy, miserable and full of guilt. Sometimes food can be addictive, right? You just NEED that cookie, or NEED to eat a few more chips – it is calling you! Well, here’s the catch. 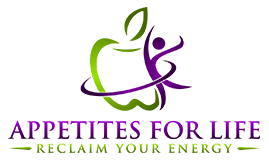 Many food-like products (those processed foods so ubiquitous to our current society), are designed so you can’t “just eat one,” as they proudly boast. Indeed, food scientists spend a lot of time developing a formula that contains the perfect amount of sugar, fat, and salt to excite and entice your taste buds and convince your brain it needs more! Clever huh? 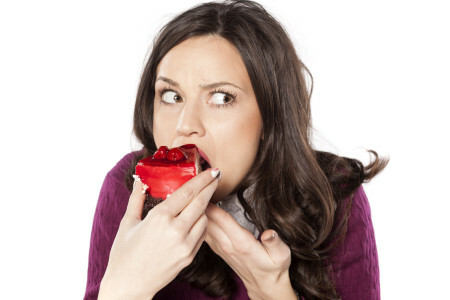 So yeah, will power is one thing to stop you from eating…..but it’s not everything. Processed foods are designed to bypass your fullness factor, prompting you to eat MORE. The lack of quality nutrients in processed food leaves your body desiring more because it is searching for the real stuff! As a result – you crave more. But if you eat a diet primarily of processed foods, you will crave more processed foods. It’s a vicious cycle, but your body doesn’t know any better. So how do you break the cycle? Feed your body the real stuff! Vegetables, fruits, whole grains, meats, beans, and legumes provide your body with the perfect balance of nutrients. They are also loaded with fiber, and FIBER is the secret ingredient that triggers that fullness factor! Unless you are like me and can eat an entire bowl of roasted broccoli or the whole sheet pan of baked sweet potato fries (seriously, I am addicted), you can only eat SO much fiber before your alarm goes off. And when you eat consciously, you chew, pay attention and are aware of that fullness factor. So, let’s sum it up in three key points. 1. Eat processed foods and you will crave processed foods, bypass your fullness factor, and well, just not be a happy camper. 2. Eat real foods and your body with do a happy dance. 3. Eat consciously and you will feel connected to your body, enjoy your meals, and develop an amazing awareness. 1 cup hot water with 1/4 of a freshly squeezed lemon and freshly grated ginger. Do this several times a day until you feel better.